There are many ways of making money from your blog and one of the ways is by using an ad network. 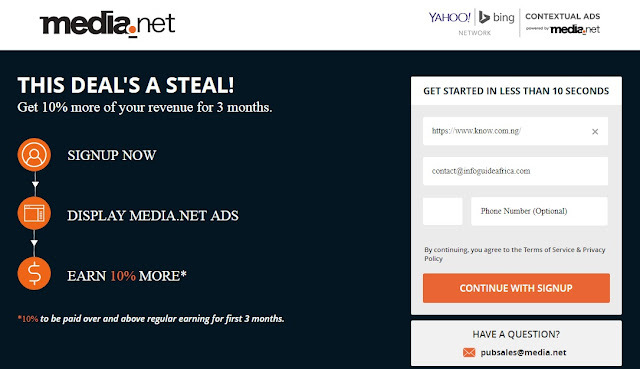 There are many popular Ad Networks like Adsense, Chitika, Mgid, Taboola and Infolinks but today we'll be sharing an amazing ad network that you can join today to start making money from your blog. With an ad network, you won't have to be going about looking for how to get sponsored posts, everything will be done by the Ad network and you'l be paid commissions for your earnings. Media.net is the second most popular ad network in the world and a partner to many big companies like Forbes, Cosmopolitan, Elle, and Reuters. It is a contextual ad network which reaches more than 100 million United States desktop users and manages more than 450 million USD of managed ad spend. It is not really easy to get your site approved, or rather if you follow their rules your site will get approved in a few days. I use it on my other blog, Information Guide Africa and it was approved after being rejected a third time. But anyways, I'll give you a hint on what I think made them to reject my site. Unlike Adense, Media.net stated in their website that you should have majority of your visitors coming from the U.S or Canada before you can become approved, but to be honest I didn't have such. Although the first time I applied, my alexa ranking was 1,200,000 with majority of my traffic coming from Nigeria, and then a fraction coming from United States, India, Pakistan, South Africa, Ghana and some other countries. This was when my website was just a few months old, so shortly before our 1 year anniversary,our website reached 900,000 alexa ranking and I applied for the platform and got approved. What Are The Requirements For Getting Approved As A Media.net Publisher? - Website Age: Some ad networks require that your domain reaches 6 months or more before you can become eligible to join. - Low Alexa Ranking: With just a Google Chrome extension, you can check the alexa ranking of any website in seconds. So I think this will be the first criteria for approving or rejecting any website. - Quality of Contents: You know as with any every new blogger, they might have scanned through my contents and they didn't suite their criteria, anyways, who knows. Few months before our 1 year anniversary as bloggers, I and Clifford modified all the old contents on our blog. - Content in other languages: Although this might not be the reason in my case, Media.net stated in an email that they sent to me that blogs that are eligible to display in their ads should be written on only English Language. - Forums: If your website is a forum or discussion boards, or users of your website are allowed to update and publish contents as they wish (without curation), Media.net is probably not for you. - Disallowed Markets: Adult contents or contents promoting alcohol, tobacco, weapons or drugs won't be approved. 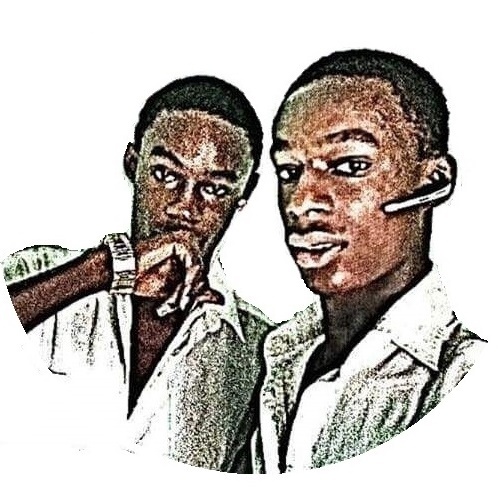 - Payment method: Payoneer and Paypal, (depending on your country,for example if you're from the U.S, Ghana, United Kingdom, Niger or other countries that use PayPal, Payoneer and PayPal will be available, but Nigerians only have the option of choosing Payoneer). They are typical examples of Media.net Ads, I guess you must have seen similar ads in many other websites. 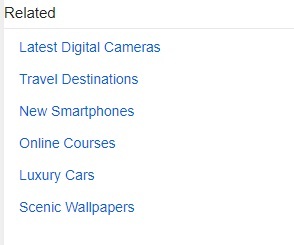 The major difference between Media.net and Adsense is the fact that it only pays you for a second click. That is, unlike Adsense and other major Ad networks, you can't be paid for an ad when your visitor doesn't click on any link on the next page. This is one of the reasons it appears like earning from Media.net is a hard task but nevertheless, if your articles are written properly, the ads will display related keywords that will attract your visitors. 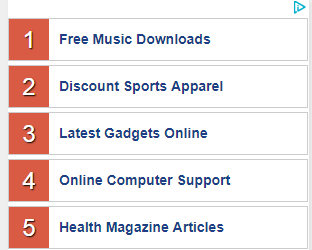 If your visitor clicks on the Media.net ad, he'll be led to a page like this. Then it'll be left to him to choose whether to proceed or retreat. It is a fact that some of your visitors won't click, especially when they notice that they are all sponsored. - Amazing ad designs: With the many ad designs, you won't find it hard creating an ad that will adapt to your blog design or template. This will help you very well in generating revenue because your visitors will to an extent, think that ads are paryt of your regular content. - Personal account manager: Media.net cares very well for their publishers and immediately your account gets approved, an account manager will be their to answer all your queries. - It works based on keywords: Media.net generally works very well in some niches, ie it can be said to be niche-dependent. But if it works well for your niche, then generating revenue from it won't be an issue. 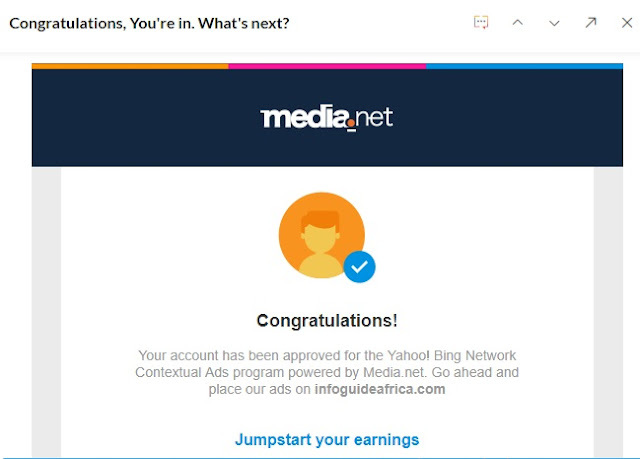 - It can be used together with Adsense: In the Media.net dashboard, it was stated that publishers can combine Media.net with Google Adsense to increase their revenue. - Mobile docked ads: This is becoming more popular of recent times and it is supported by Media.net. You account manager will also guide you through the process of optimizing them for better revenue. - Performance varies with niches: I told you earlier that Media.net performance is awesome in some niches, what of the other niches? - No self-split testing without third-party platforms: You know I should have stated the niches that work well in Media.net, but unlike Adsense, you need a third-party website like Ezoic to be able to test Media.net. - No page-level reporting: This is a major con of media.net, they don't offer any page-level data for all your sites, this makes it impossible for publishers to optimize ads in the context of their content. We hope they improve in the future. - You need good traffic: Yes, you really need good traffic if you want to earn very well as a Media.net publisher. So he whole process of getting your site approved to generating good revenue under the platform requires that you have a good traffic to your website. - Mixed reviews about their account managers: The account managers that will be assigned to you might be very nice or the opposite, different people have different temperaments. But you can always request for a change of account manager in the customer care section. Getting approved as a Media.net publisher is not a hard task, all you need is to visit this page to submit your website for review. Using this promo link will help you earn an extra 10% on all your regular earnings for your first three months as a publisher. So I suggest you use the link,who doesn't like freebies? Are Nigerians Allowed To Use Media.net? I've stated this earlier, but I think I should also explain it again for the clarification of doubts. I'm a Nigerian and a Media.net publisher, so Nigerians are allowed to use the platform. There is no discrimination, publishers from all countries are encouraged to join. Have you used Media.net before? What is your review of it, kindly drop a comment below.